Are you looking for new recipes to try this month? I’ve got you covered. 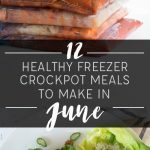 I came up with a list of 10 crockpot recipes that are super easy to throw together in the morning. If you’re motivated, you can even prep and freeze all of them this weekend (free shopping list below!). We’re in the midst of birthday season over here. One of our daughters had a birthday in October, and we have another in November, December, and January. I guess I better start planning ahead for the holidays. 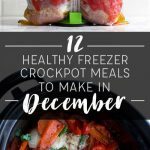 To keep our dinners simple, I put together a list of 10 easy and healthy crockpot recipes that we love. 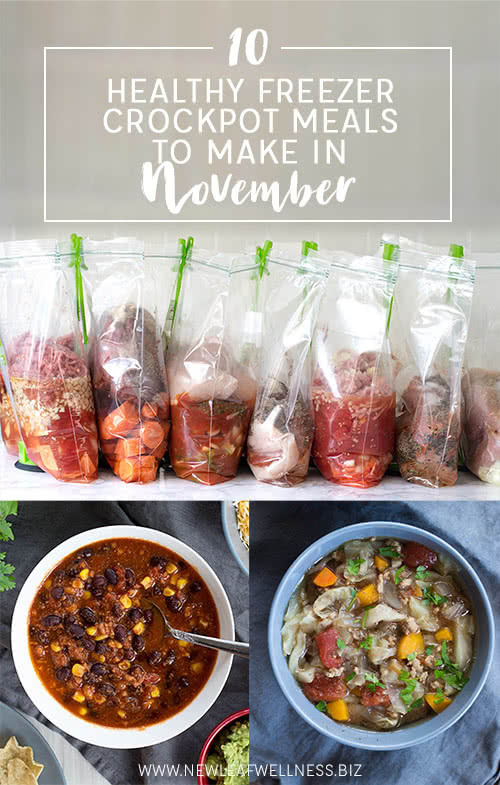 If you look at the calendar above, you’ll see that I picked a “theme” for each day of the week and then found seasonal crockpot recipes that would match that theme. (For example, Turkey Black Bean Chili on a “Soup/Chili Monday”.) I also included a variety of tastes and textures so we wouldn’t feel like we were eating the same thing everyday. My husband, Andy, added text boxes to the calendar, so you can swap the meals to fit your schedule, delete the meals you don’t want to make, etc. I hope your November is full of family, fun, and good food, Friends! Thanks, Alicia! I’m still working on adapting my recipes. So far, I know that if they’re frozen they need to be sautéed in the instant pot for 5 minutes before cooking and the cooking time varies per recipe (35 for sliced beef, 35-40 for roasts, about 20 for cut chicken). Then you do a natural pressure release for 5 minutes followed by a quick release. I will share more info for each recipe once I master it! Thanks for doing this each month. These plans are so helpful! I only see the calendar, but the recipes and shopping lists are missing. 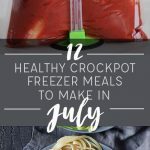 Underneath the list of meals is an orange button that says, “Click here for the free printable recipes, shopping list, and meal planning calendar. No strings attached.” If you click that you can enter your email address and immediately download the freebies. I love your recipes, meal plans and entire program. I know it is a huge amount of work – but I really miss the printable labels. I have prepared the meals and frozen them, then bundled as gifts for new moms – the labels make the entire gift look so “finished”. I always share your website and give you all the credit but thank you for making me look so good and thoughtful. ric4man.17@gmail.com. sorry if I caused confusion. This is my husband’s tablet that he has given me to use since mine died and I find these tablets easier to than my smart phone use now that my eyesight is failing, larger print. 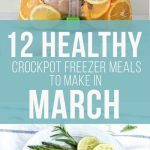 Thanks for sharing recipes and meal plans month after month. 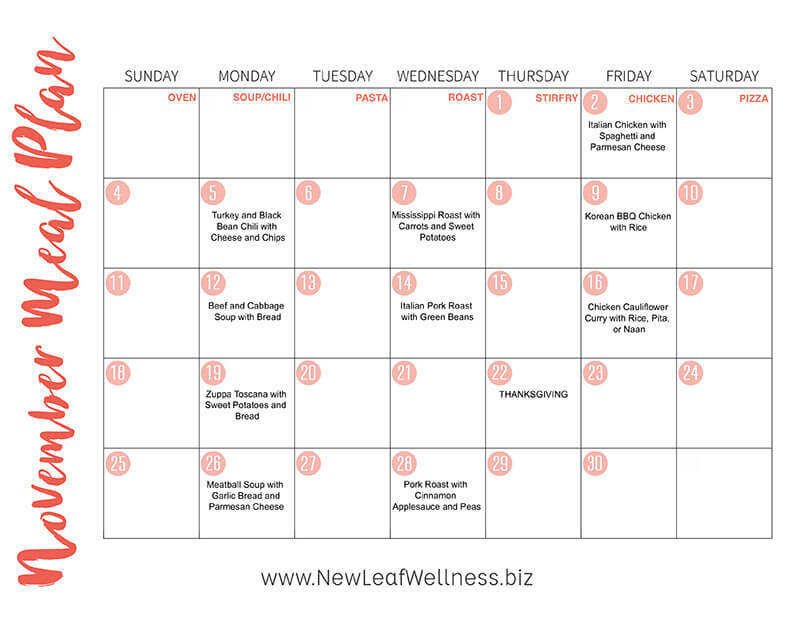 I did notice that although you’ve changed your name to Family Freezer, the November PDF still says New Leaf Wellness. Home frosts are a great way to preserve foods for a long time without compromising their nutritional value. We all freeze meat and fish, offal and minced meat. More experienced hostesses with the help of freezing make preparations for the winter. In this case, in the course are a variety of fruits and vegetables, as well as greens. Today, freezing for the winter is a convenient and economical alternative to all kinds of conservation, therefore, the procurement of food supplies by the method of freezing is becoming increasingly popular. Moreover, not everyone knows the benefits of this technique to the end.